A Metal body single pole latching switch which has change over contacts. 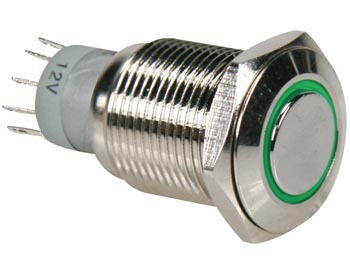 The switch incorporates a 12VDC Green LED which illuminates a coloured ring around the bezel. Panel cut 16mmØ.